Bringing a new puppy into your home is a very exciting moment. Puppies are cute and cuddly and so much fun to play with. But then they chew up your shoes, piddle on the floor, start barking at everything, you don't find that type of behavior that cute anymore. The best way to avoid your puppy turning into a little monster is to go through some dog training basics, and teach your dog the most essential things. 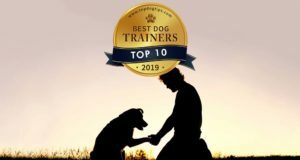 One of the biggest perks of committing yourself to dog training basics is this will improve your and your pooch's life, as well as enhance the strength of bond you two have. Also, regardless of what other pet owners might have told you, if you have the right set of tools, going through a short course of dog training basics is pretty darn fun. Canines are not lazy animals – they love to learn and explore. The secret to successful dog training basics course is good communication. Always keep in the back of your mind that dogs do not understand WHAT you say to them, so a “no” can mean “yes” if you do not communicate it properly. To avoid such pitfalls, have a plan like these dog training basics tips and stick with it. Multiple studies have already proven how positive reinforcement, in most cases, is the best and most effective way to train your Fido. Like children who misbehave, it’s easy to only see the bad things that your puppy does instead of focusing on the good that they do. When you see your dog doing something right when given a command or even if they make it outside to go potty, shower them with affection and praise. Tell them they are a good boy/girl and heap it on. Pet your pooch, give a treat and socialize with him. Positive reinforcements goes a long way. Here's something that a lot of dog owners forget – you can teach your pooch by listening and learning from him or her. It’s vital to take cues from your pet when introducing them to new people or other pets. If you can tell that your pet is uncomfortable saying hello to someone, don’t force them to do so regardless. Some breeds are more reserved and shy than others so be gentle and patient with them. It’s better in the long run to respect how your dog interacts with others than to try to force the issue. You must be consistent. Be consistent with how you train, where you train, why you train, and most importantly – keep that training going at all times, without any breaks. It is extremely important when training your canine friend that all members of the family are on the same page and using the same words. Dad can’t tell your dog “no” when he is jumping on the couch if Mom is allowing him to snuggle up next to her when no one is around. This confuses your pooch, and then your pet's owners will be the one making your dog look like a bad guy. Make sure everyone in the house is involved in your dog's training. Just like how you would approach a weight loss diet or a muscle gaining gym regime, knowing what to expect from 1 week of training your dog, and 3 months of training him is crucial. When starting to train your dog, whether it’s a puppy or an older dog, you need to have reasonable expectations. If you are trying to change an older dogs behavior, it will take a little more time and patience than it may take with a puppy. You can’t expect a dog to behave a certain way if they were able to get away with it for a long period of time. As with a puppy who is still getting the hang of learning, it’s best to start with small expectations to make sure you and the puppy are not overwhelmed. “I'll give him this piece of meat just this once, because look at those begging eyes,” is how most dog behavior problems begin. Empathy is great, but you must look at the bigger picture here. Dogs will do what they know works to get what they want. It's been proven many times that a dog's intelligence equals to a young child's way of thinking. So just like children who have learned that if they scream and throw a fit to get their way, a dog will do the same. Maybe not throw a fit, but if you have “trained” them that when they bark they get their way, they will continue to bark until you give in. It’s better to redirect their behavior by using a command that they know, like sit, to get what they want. Don’t give in because it’s annoying or they will just continue with that behavior. Going back to positive reinforcement, dog treats are one of the most effective ways when going through dog training basics. It's the foolproof way of showing your pooch that the reward is there if they've done something right. However, never try to bribe your pet to follow a command. Using treats as positive reinforcement is a great way to teach your dog new commands, but not if you are using to treats to elicit the following of a command or behavior. The only time food should be used is if your dog has followed a command or reacted with good behavior. Treats and praise are the best ways to train your dog to follow your commands. The best way to approach your homemade dog training basics course is to create a structure and follow it to a letter. Always have in the back of your mind that your dog is currently in training, and use additional opportunities as well. Keep your sessions short and without added distractions. Too many commands stretched over a long period can bore your dog and not give you the behavior you are looking for. In addition, as you go through your daily life with your Fido, you can (and should) use any situation as a learning opportunity. When going for walks, out in the backyard, and riding in the car can all be times to teach. Negative behavior is common among even the cutest dogs (surprised?) and it must always be addressed. No negative behavior should be left unattended or especially addressed in a wrongful way. When teaching your puppy not to do something, like jumping on people when they greet them or barking at the door, always use redirection. Never hit or pull on the dog. The behavior might stop, but then you run the risk of your pet being scared of you. If a negative behavior continues, use a the time out method or ignore the bad behavior after firmly telling them no. They will keep up the bad behavior if they are getting attention for it. Time is of essence when you want to rid your dog of bad habits. Dogs have short memory, therefore, you must act swiftly to let them connect what they've already done with what they should've done instead. Therefore, always address the bad behavior immediately after the “accident.” It is less effective to correct bad behavior later when they have no idea what they have done wrong. If your puppy is playing too rough and bites during play, make sure they are aware that it is not okay to play that way. Just like when dealing with a small child, they need immediate correction. A significant amount of experienced dog experts advise the “dominance” training approach where you treat your dog as a slave, essentially. While it does work in some cases, it doesn't work in others. Or worse yet, it might work but you'll regret the approach taken later on. Suggestion? Ditch the “Alpha Dog” mentality and train gently and patiently. It’s more important to enforce good behavior and kind training than it is to try to show your puppy who is boss, because while they will respect you as the owner, they will continue to adapt the same mentality. Of course, know how to maintain the status of a leader, and know how to lead. You are still the boss and are in charge of teaching your pet good behaviors. You decide what is best for your dog and for your family. But leading and dominating are two different things.